Aries Engineering Co., Inc. is a diversified manufacturer of “hydra-pneumatic” cylinders and presses designed for use in a wide range of assembly and forming applications. After pioneering new technology in air/oil intensification in 1994, AEC has grown to offer a complete range of assembly and forming solutions for customers in the industrial automation, manufacturing, commercial, and defense industries. 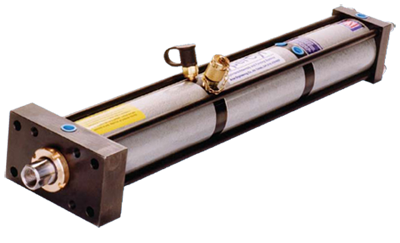 HyperCyl HyperCyl® is a pneumatically powered hydraulic cylinder, ideally suited for a wide variety of assembly and forming applications. 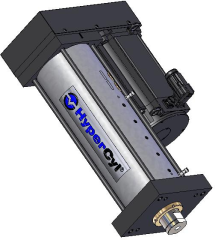 HyperPress Designed as an alternative power source to conventional hydraulic systems. HyperCyl is a clean, quiet and safe power source for all forms of assembly and forming applications. HyperPierce The HyperPierce series units are ideal for: Metal and composite Piercing, Riviting, Marking, Clinching, Staking and Assembly applications where high-speed, high-force operation is desirable. HyperView-Press HyperView-Press® Monitoring System provides the easiest to use, most comprehensive and highest reliability press monitoring available. With the most consistent test results and less false failures, the HyperView-Press® will help you achieve your yield and quality objectives.